Youngsters hug teachers and staff members as they head to classes at New Genesis Success Academy on Kalamazoo’s North Side. That seems like unusual behavior for 40 kindergarten through fifth graders who are coming from a full day at their regular schools. But the youngsters, primarily from Woodward Elementary and Paramount Charter Academy, seem happy to read and get help with their homework in the after-school program. She and Rev. Ervin Armstrong, chief executive officer of New Genesis, say the free learning program nurtures the development of its students and sets high standards in an “old-school” fashion. Students, teachers, and parents form strong relationships “that can’t be measured and can’t be forgotten,” Glenn says. 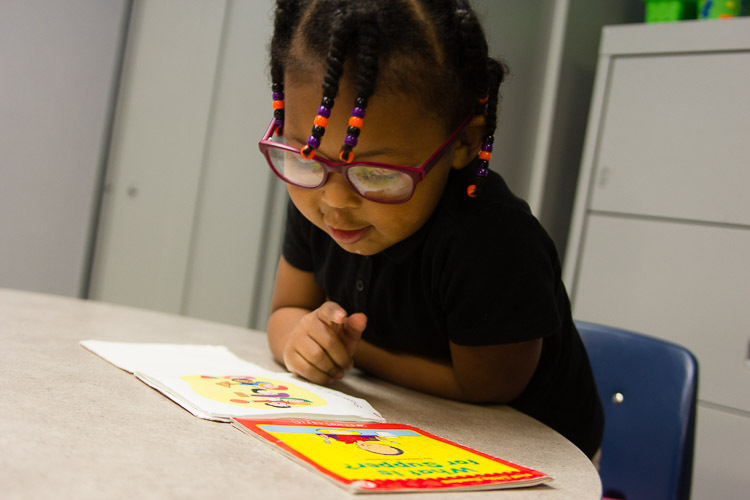 Through those relationships and partnerships with various area school districts, the United Way is focused on early reading achievement -- improving reading competency by grade three -- as a means to improve the region-wide graduation rate to 83 percent by the year 2030. • Only 30 percent of the third graders in all districts of the region can read proficiently. 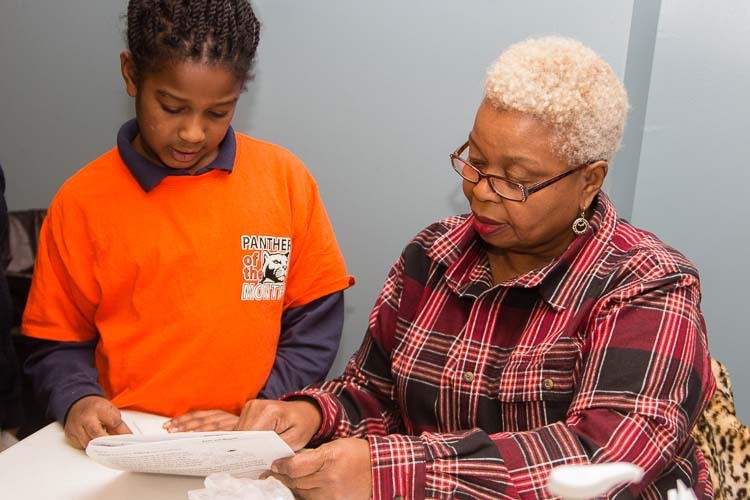 • But 89 percent of students in three area elementary schools who were paired with volunteer reading mentors have become proficient readers. • And 80 percent of instructors who received in-class literacy coaching have seen higher reading proficiency among their students. 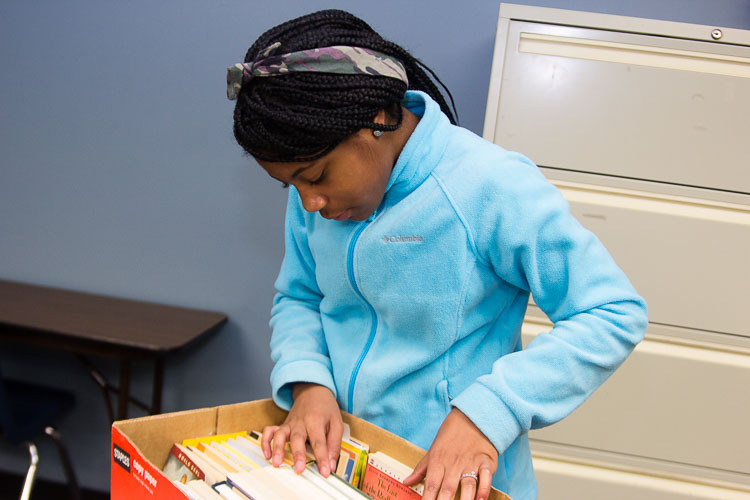 “We have a strong cadre of out-of-school programs,” says Matt Lynn, vice president of community impact for the United Way of the Battle Creek and Kalamazoo Region. The 3 to 6 p.m. program at New Genesis is one of them. The United Way provides the program with grants to help pay its staff of three part-time instructors, buy computer tablets (last year), buy books that resonate with the youngsters in the program, and fund other supplies. “We would not have a program without United Way funding,” Armstrong says. 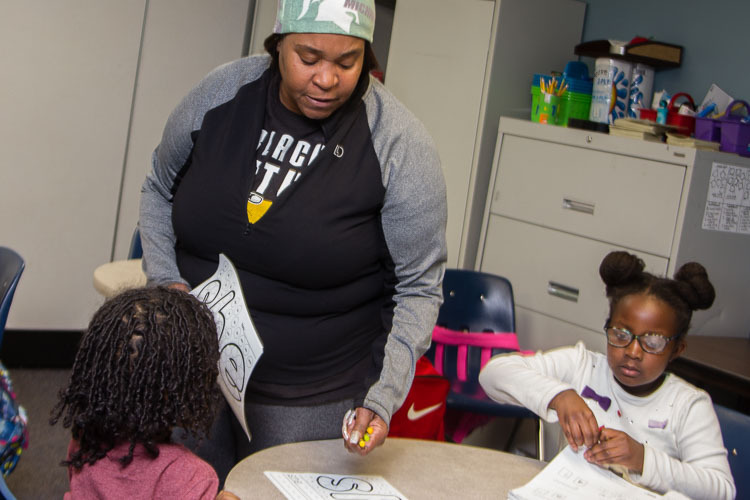 Youngsters enjoy their books at the New Genesis after-school program.Now, the United Way can track with a lot more certainty how things are going in its efforts to improve educational competency as well as its three other long-range target areas. That is a result of a comprehensive study called “Our Impact.” It has provided data on the impact the charitable organization’s investments have had since 2017 in Battle Creek and Kalamazoo. The data, released in late July by AGS Data Analytics & Consulting LLC, helps the United Way and the wider community assess the progress the organization is making since establishing in 2015 target areas for its charitable giving. In 2015 “we did create some baseline measures,” Lynn says. The measures helped validate that the United Way's priority areas and strategies “were all consistent with what it is we heard constantly from the community,” he says. The organization wants to know “if we’re going to make progress and actually start to see where change happens,” he says. Of more than $6.56 million the United Way has invested in 125 programs during 2017, $1.80 million was being targeted at education, $1.37 million was aimed at improving incomes, $1.47 million was focused at improving health and $1.90 million was set to help satisfy the basic needs of families and individuals. Youngsters enjoy their books in this after-school program.• Income -- helping 8,500 households to become economically stable by 2025. Employment is up but the jobless rate among blacks and multi-racial residents in the region is about 15.65 percent. Approximately 38 percent of area households are also ALICE status (Asset-Limited, Income Constrained, Employed). They work but don’t earn enough to afford basic necessities or manage a major crisis if it arises, according to the United Way. So the United Way is focusing on funding programs that help low-income and working families earn more and, through relationships with other organizations, is supporting the development of stable and more affordable housing. Impact data – 381 people participated in United Way-funded workforce skills training programs; 300 of those earned a workforce credential; and 101 of them used their credentials to compete for higher-paying jobs. • Basic needs – ensuring there is a safety net of basic food, shelter and other services for people in crisis. In 2017, the United Way’s 2-1-1 confidential referral service took 4,758 calls for food and managed 578 calls for emergency shelter. United Way estimates there are more than 6,000 homeless people in the region. Impact data – 9,933 people received transportation services; 434 people received help to obtain ID documents for services and employment; 703,449 meals were served; and 2,439 households received emergency utility assistance. • Health – working to improve infant mortality rates among African-American and low-income families to six in every 1,000 births by 2025. Among those populations the mortality rate in 2017 was about 11 percent in Kalamazoo and 10.2 percent in Battle Creek. That was compared to 3.2 percent and 4.6 percent, respectively, among whites. Impact data – 834 expectant mothers were served; 260 professionals and community members received training to help impact infant mortality; 576 expectant mothers received home visiting care for their children; and 85 percent of African-American mothers in the region gave birth to infants at a healthy birth weight. “We want to make sure that our black children (infants) are not dying at a disproportionate rate to white children,” Lynn says. He explains that success for the community – which includes all children – starts with all of them having a healthy birth. Healthy starts are an ongoing concern at Grace Health, a federally qualified health association located in downtown Battle Creek. So its obstetrics/gynecology department gives free diapers to mothers who stick with Its Mother and Baby Tobacco-Free Program. Although community-wide efforts to increase healthy births are improving, Wise says it’s still not uncommon for the OB/GYN department of the United Way partner organization to see women for the first time during their third trimester. And when it does, its staff works hard to keep them coming back. Grace Health provides a raft of core services such as mammography, ultrasound services, and gynecological services, as well as preconception and infertility counseling, the smoking-cessation program and dental hygiene services for pregnant women. Why has the United Way moved to collect more information regarding the results they are seeing from those programs it funds? Lynn says, “The fundamental challenge that we had (was) from listening to donors who said, ‘The information that you’ve given us previously is nice information but how does that equate to seeing change? How does that equate to seeing impact?’” Lynn says. His organization has traditionally been able to provide statistics on individual program outcomes but nothing that measured how its funding was helping to achieve community-wide goals. 2014 ALICE (Asset Limited, Income Constrained, Employed) households: 56,200 (vs. total 137,073).